Xolo B700 is very new Dual Core Device from Xolo with impressive specs . Mobile phone manufacturers in India are already trying to provide Quad Core handsets to Indian Customers wheres some mobile manufacturers are quietly launching Dual core and Single core handsets in the market . Main attraction in Xolo B700 is its battery , the device has 3450 mAH battery which claims talk-time of 23hours on 2G network . Xolo B700 Price is under RS 9,000 . Xolo B700 has 4.3 inch QHD display having 256ppi . Xolo B700 has three touch sensitive buttons at Front-bottom . Device looks less slimmer than Micromax A110 Canvas 2 . At rear of the device there is 5MP camera . Back of the device is very much similar to Samsung devices . Xolo B700 has 4.3inch IPS display of 960 x 540 resolution and about 256ppi ( pixel per inch ) . The device has 2 Sim card slots , so you can insert 2 SIM cards one 3G and other 2G . The Device has Accelerometer , Magnetometer ,light sensor & Proximity sensor . Xolo B700 runs on Android 4.04 ICS . Xolo B700 has MTK 6577 Dual core Cpu of 1GHZ frequency & PowerVR SGX 531 GPU . The device has 4GB ROM and 512MB RAM . The device is powered by 3450mAh battery . SAR VALUE – Head – 0.827 W/Kg and at Body – 0.647 W/Kg . Xolo B700 has 1GHZ MTK 6577 Dual core CPU and PowerVR SGX 531 GPU . The device comes with 512mb ram and 4GB of Rom . The smartphone has 4.3inch IPS display of QHD resolution and has about 256ppi . 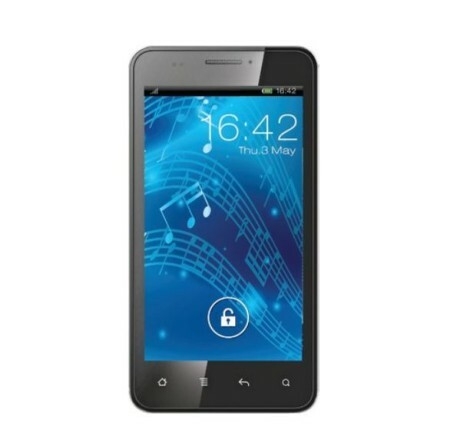 The device has Dual Sim Capability and runs on Android 4.04 ICS . Xolo B700 has 5Mp rear camera and 0.3 MP front camera . The device has Accelerometer , Magnetometer ,light sensor & Proximity sensor . Xolo B700 has long lasting battery of 3450mAH which claims talktime of 23hours on 2G NETWORK . The handset can easily play as well as record 720p videos at 30fps . 1. Gionee G1 Gpad ( Unboxing & Review ) – Gionee G1 Gpad is a Dual core smartphone and its hardware quality is decent . You can check Gione G1 Gpad Review on our Youtube Channel . 2. Micromax A110 Canvas 2 ( Review )– Micromax A116 has 5inch IPS display . Other Specs are same but Xolo B700 has more sensors . you can check our Micromax A110 review . 3. Celkon A119 Signature HD – Celkon A119 is Dual core handset and has 12MP camera . Celkon A119 seems to be better than all of the above phones as it has 1GB RAM . 4. UMI X1s – UMI X1s is quad core handset and its price is under Rs 10,500 . 5. Micromax A91 NINJA ( New launched ) -Micromax A91 Ninja runs on Dual core Cpu and has 512MB ram . Micromax A91 has 4.5inch WVGA capacitive display . Xolo B700 Price is Rs 8,999 & you can buy it from Flipkart.com . Buddy to let u know , the spelling of chief is wrong in ur brief: Harpal Singh is the founder and cheif editor of knowreviewtip.com . HE loves GOD and loves to help others by giving latest from the world of technology and science . Harpal singh is software developer , diy , geek , hardware engineer (electronics) , features enhancer and products reviewer .